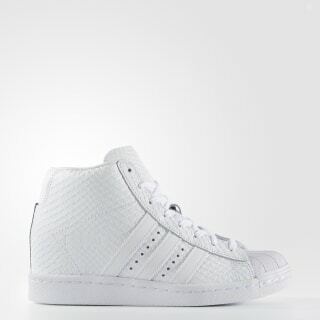 adidas Superstar sneakers with a hidden lift. The adidas Superstar sneakers earned a sterling reputation on the basketball court in the '70s before moving to the street. 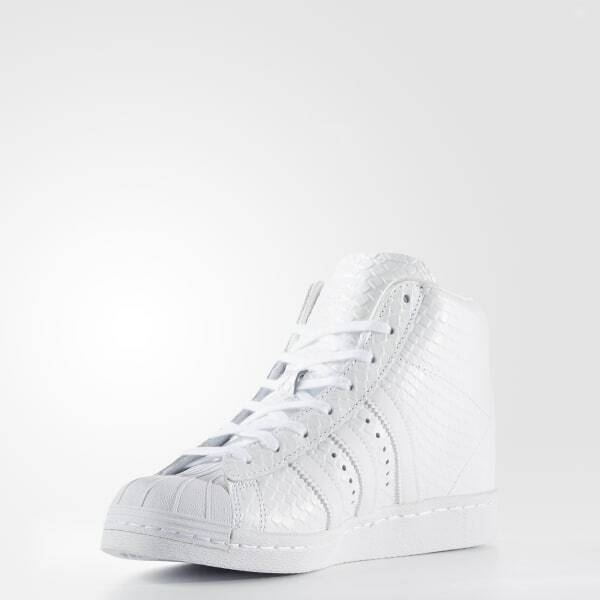 These women's shoes have a leather upper with allover snakeskin-textured embossing. A hidden wedge heel gives soaring style to the iconic shell-toe look.